I have always loved elderberries. 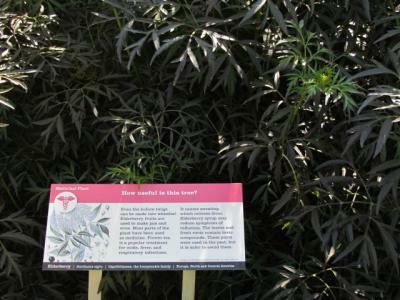 As a kid there was an elderberry bush outside my bedroom window. I waited patiently each summer for the first berry clusters to ripen. I'd eat them right off the plant whenever I walked or mowed past the delicious, though tart, fruit. 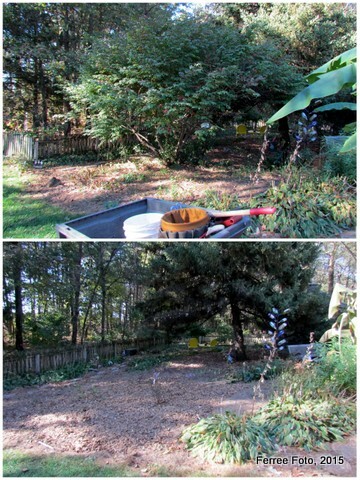 This fall we removed a burning bush from our yard because it was overgrown and terribly invasive (new seedlings are everywhere!). I replaced it with a Black Lace elderberry and two different ninebark shrubs (I'll write about those next week). The Black Lace elderberry that I planted is a cultivar of the European elder (Sambucus nigra 'Black Lace') that grows 6 to 8 feet tall. Its showy pink and white June flowers provide a nice contrast to the exceptionally lacey, dark purple foliage. Proven Winners touts it as an exceptional addition to the landscape, but I am a bit concerned that it might struggle in our hot, dry summers. I'll let you know how it does in my yard next summer.